Good morning ladies! It's our favorite time of the week - Wedding Wednesday! 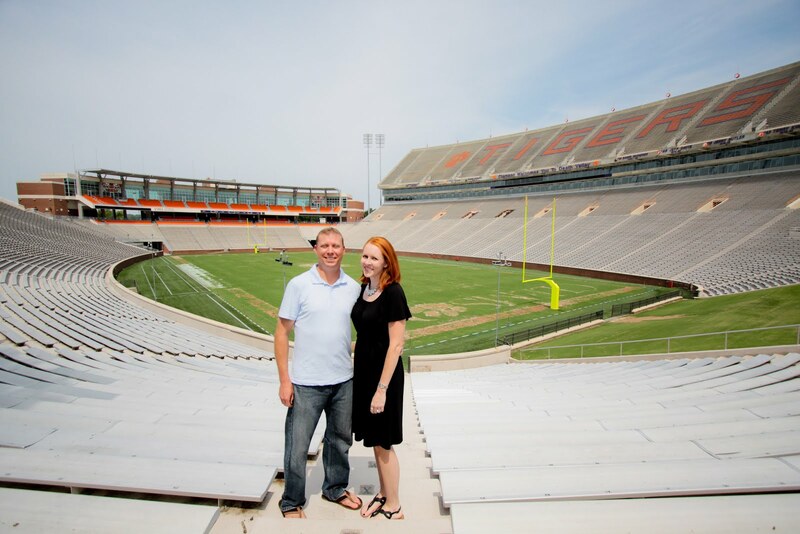 Today we get to share another Clemson love story with you. 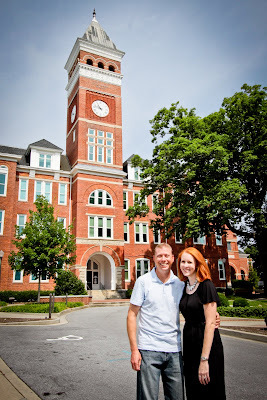 Meet Amy and Brad. 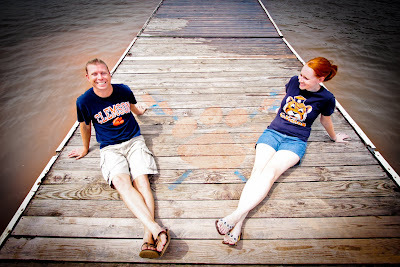 Their amazing photos were taken by Derrick Simpson, one of Brad's friends who rowed with Brad on Clemson's rowing team. Derrick does photography as a hobby, but has his pictures posted on his website. Amy and Brad met through a friend just after they had finished their Masters Programs at Clemson in 2007. 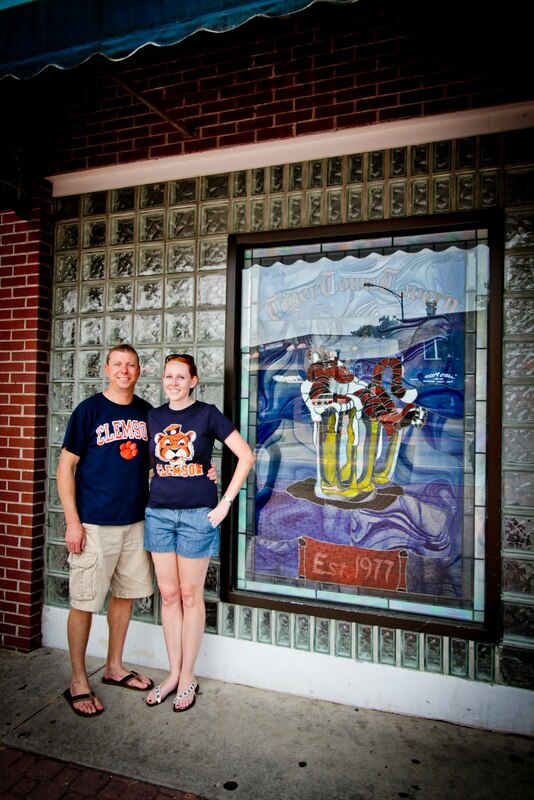 While working on her degree, Amy hosted trivia at Tiger Town on Wednesday nights. 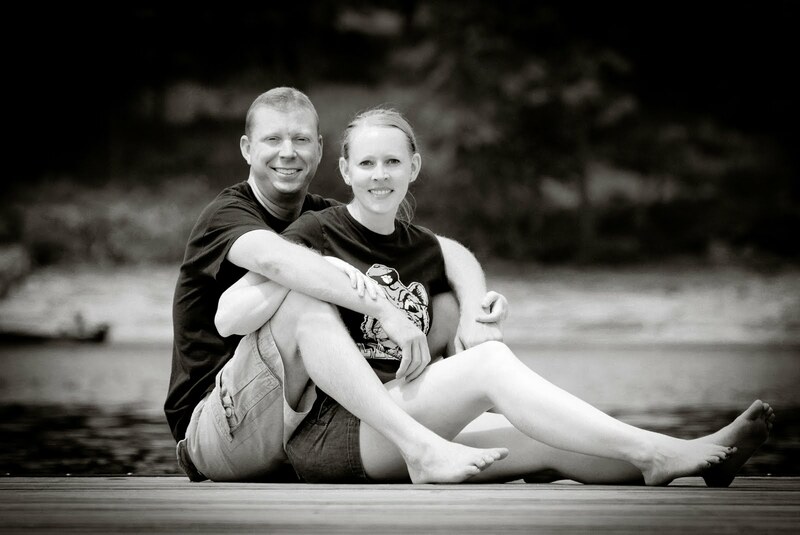 Brad had played with friends a few times, so he knew who Amy was long before she knew him. After finally meeting through a mutual friend (and Brad accidentally giving Amy the wrong phone number), the couple got to know one another while Brad was travelling, looking for jobs and living in Florida. 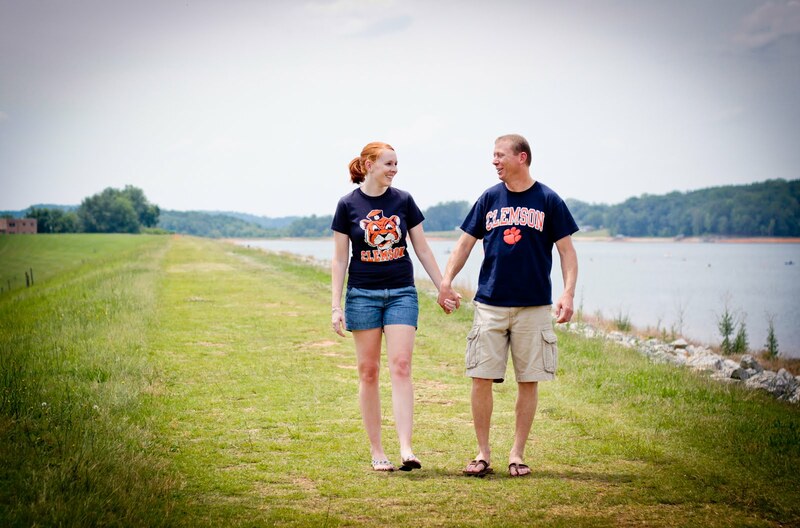 He would visit Amy in Clemson on game weekends, and before long he had a job in Myrtle Beach. The two were a long-distance couple for 3 years before Brad finally got a job in Charleston, where Amy was living at the time. 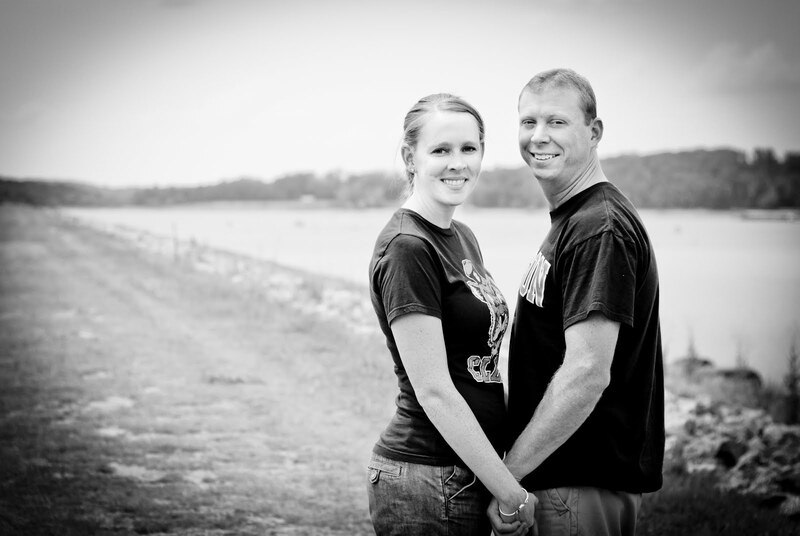 Amy and Brad have been engaged since last October. One random Tuesday night, Amy was getting off of work a little early and offered to pick something up or cook dinner. 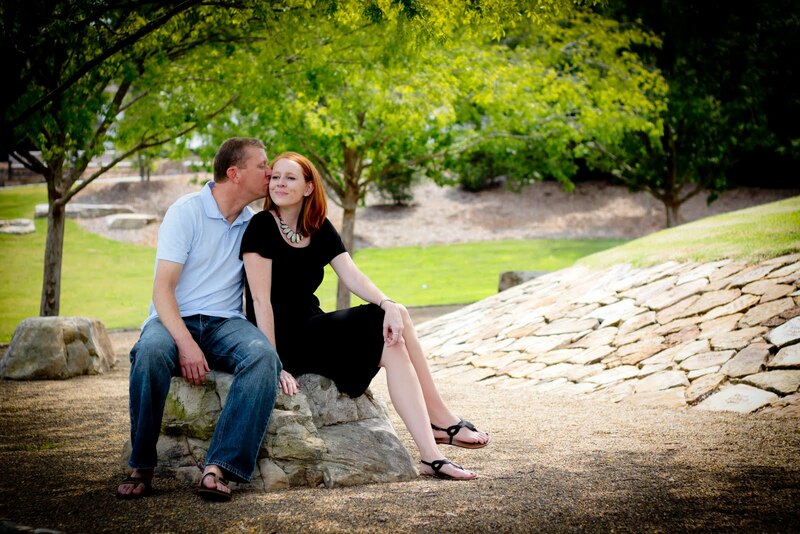 Brad told Amy that he had something special planned that night and not to worry about it. This made Amy a little suspicious, of course. When she came home, the house was dark, but there were candles and rose petals in a trail to the back room, where he was waiting on one knee. 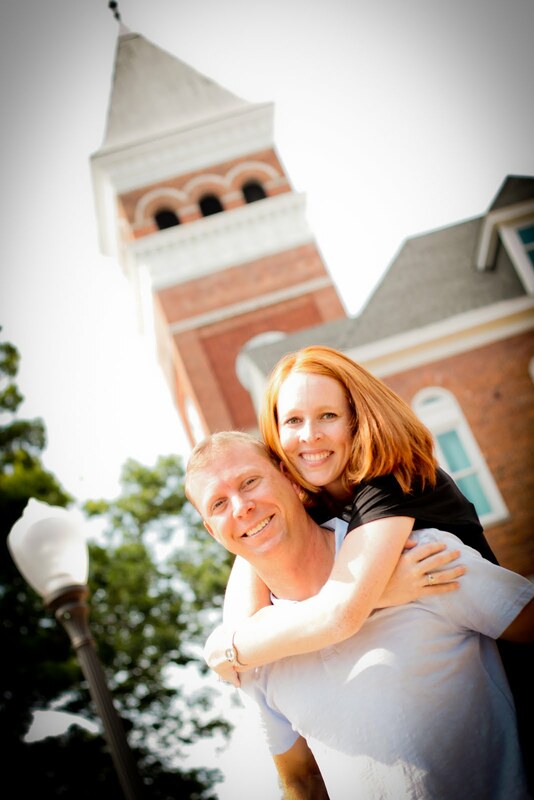 The couple were just married last month, in Charleston at their church, John Wesley UMC. The reception was held at Founders Hall at Charles Towne Landing. 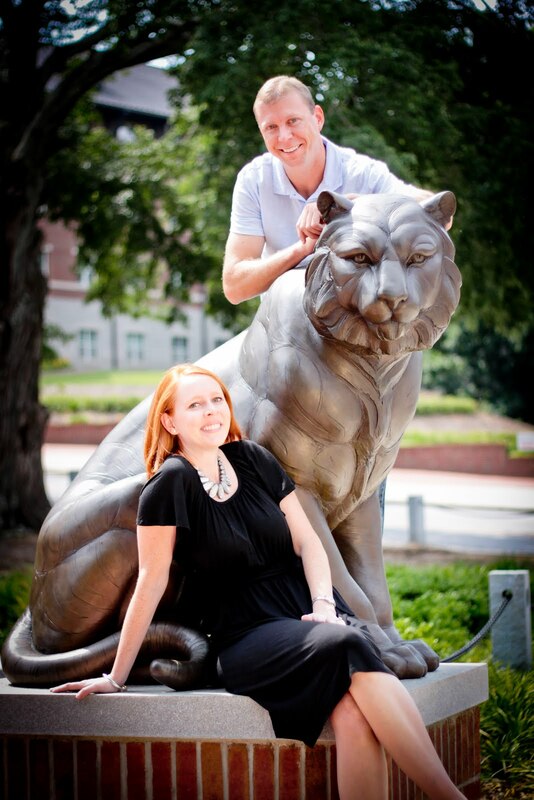 Special thanks to this lovely couple for sharing their photos and their story with us. Congrats and Best wishes to the happy couple!